- FSUE "Admiralty Shipyards" (St. Petersburg) - 1992 to 2000 4 boats built for export and from 1997 to 1998 2 pr.636 boats, and from 2002 to 2006- 5 boats pr.636M. One boat pr.877 completed in 2005 pr.636M (B-340 = Yuan Zhend 73 Hao, China). Some time ago (1997) in the Western media of specialized boats KILO class as referred GRANAY, probably referring to the boats upgrade projects 636. By default, these boats are pr.877. 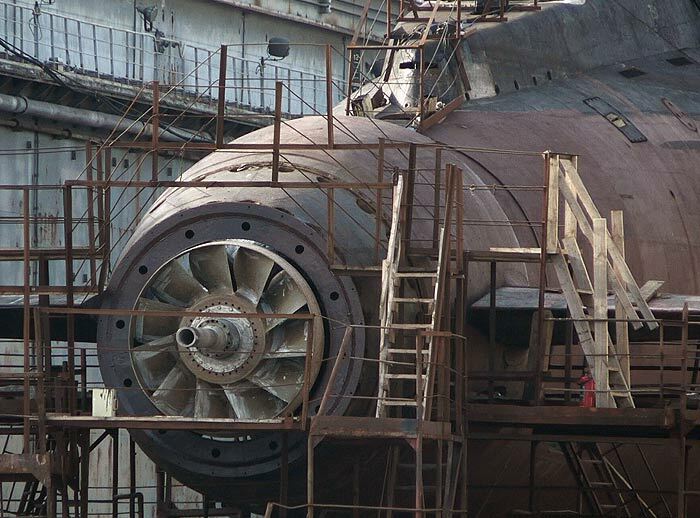 In 2010 FSUE "Admiralty Shipyards" (Mr. .Sankt Petersburg) resumed the construction of submarines for the Russian Navy pr.06363 ( sm.Reestr below ) - in the construction of a series of six submarines for the Black Sea Fleet of the Russian Navy. Design PL - double-hulled. Widely used damping platform and other sound-absorbing technology (eg protivogidroakusticheskoe cover housing). The shape of the body is adapted to the PL maximum resistance and noise reduction. Nasal hydroplanes retracted into the housing. 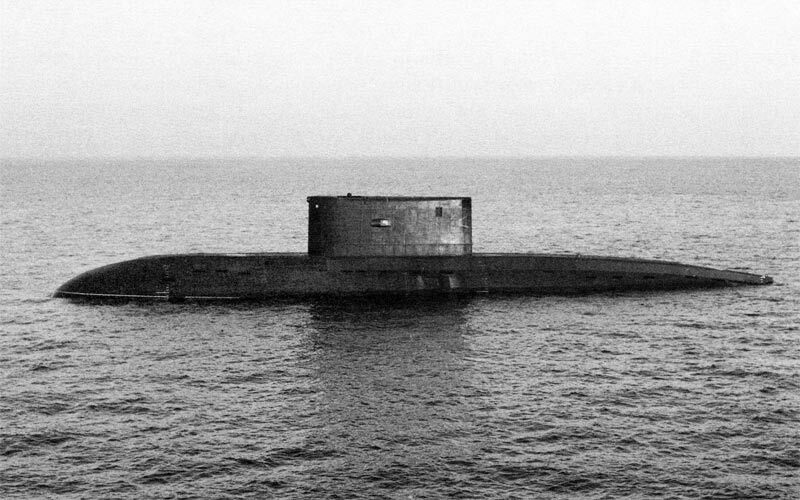 Submarine pr.877M differ in appearance from pr.877 chopped off at the stern superstructure instead of blending smoothly into the body. Material hull - Steel AK-25. At least for PL pr.06363 steel cabinet designed "Prometey" and performed at "Izhora Works". From top to bottom - the first three shots - in the stack shop №12 Leningrad Admiralty Association unit №1, block №1 mask torpedo unit №3. 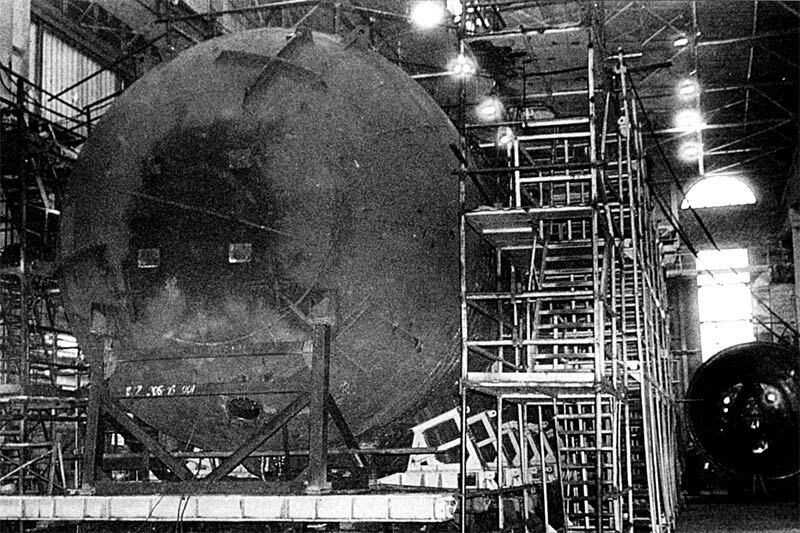 In the fourth picture in the transportation department №12 element submarine pressure hull. 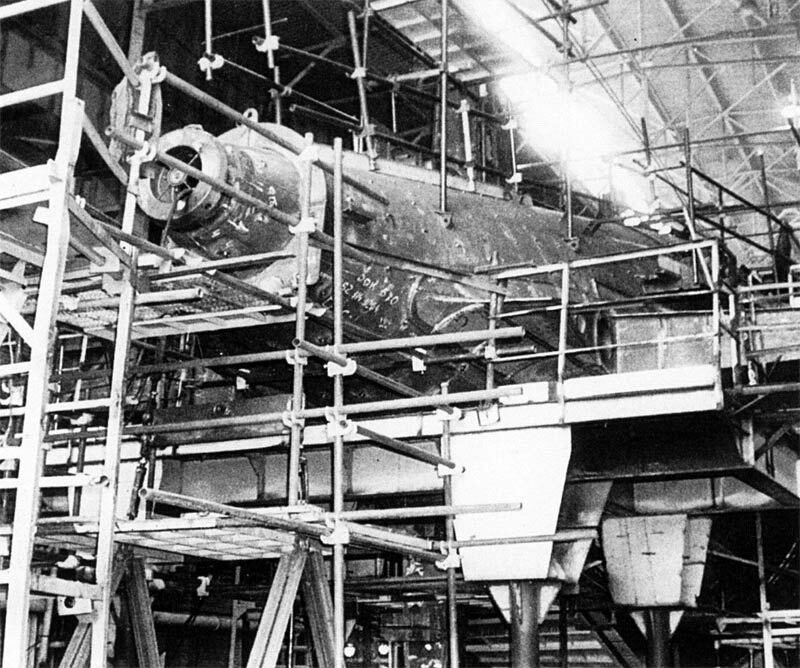 The fifth photo - block hull boats in the workshop №9.Expected in photo design elements submarine B-477 ("Sindhushastra" S65) zav.№01618 pr.877EKM / 08773, the Leningrad Admiralty Association, St. Petersburg, 1999 (Admiralty Shipyards Russian submarine fleet. S.-Pb. "Gangut", 2003). The architecture of submarine hull or pr.06363 pr.06361. The shop №9 Admiralty Shipyards. 2012 ( source ). 2 x diesel generators 4DL-42MH capacity of 1500 kW (at dr.dannym and the first two submarines pr.877 - 4DL-42M power of 1000 kW) with a system of RDP (pr.877). On pr.877M - 30DG capacity of 1500 kW, as well works with RDP. 1 x main propulsion motor power of 5500 hp PG141 (Including pr.877V / 877EKM at dr.dannym on pr.877EKM engine produces 4050 horsepower), since the submarine B-800 (1989) set a new low speed engine capacity of 5500 hp PG165 . (6800 hp by Western sources). 1 x motor of economic progress PG142 power 130-150 hp (The first version), since the submarine B-800 (1989) / pr.877V set a new low speed engine output of 190 hp PG166 ..
- 7-blade scimitar-shaped blades with alloy "Aurora" (B-470 - 1986 B-800 - 1989). 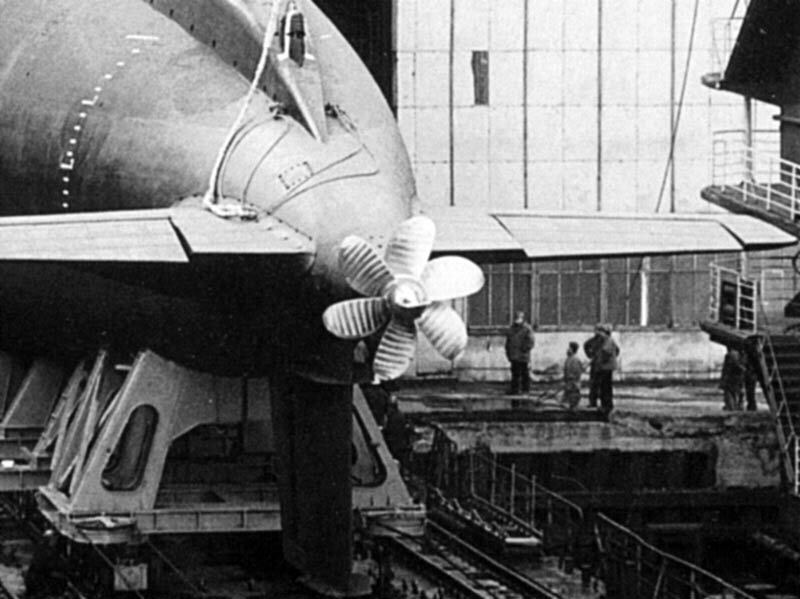 - 7-blade propeller-type B-800 (Improved KILO Submarine). - water-jet nozzle turbine type (pr.877V previously was shorter tip - perhaps the difference early on pr.877V pr.877VD - is supposedly). The speed of rotation of the screw top - 250 rev / min .. On submarines all projects in the stern of the hull on the sides thrusters water cannon.Processes diving and surfacing submarine automated. 6-bladed fixed pitch propeller low noise boats pr.877 and 877EKM KILO. 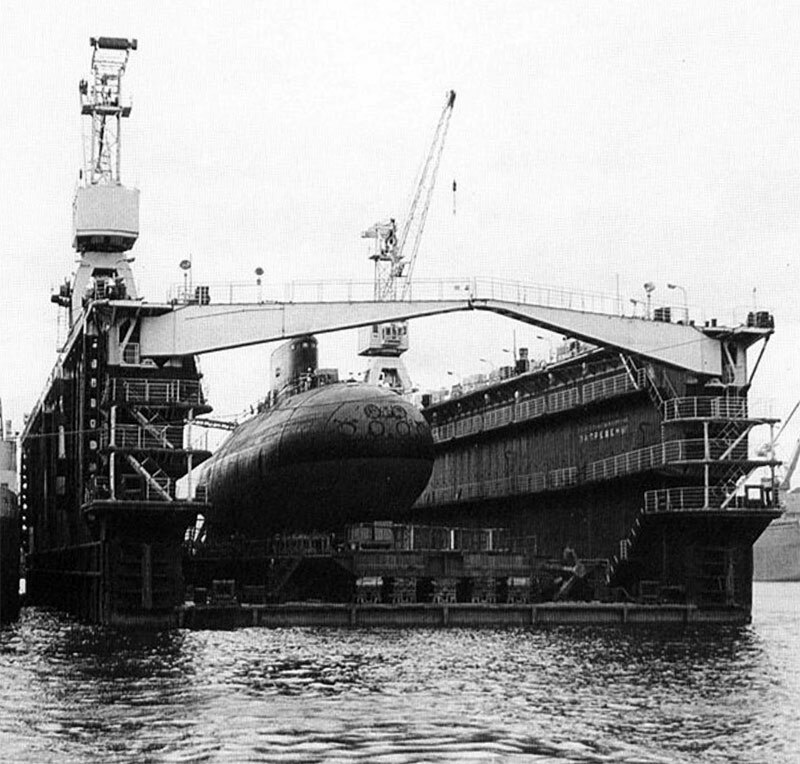 Pictured rolled out of the shop submarine B-477 ("Sindhushastra" S65) zav.№01618 pr.877EKM / 08773, the Leningrad Admiralty Association, St. Petersburg, 1999 (Admiralty Shipyards Russian submarine fleet. S.-Pb. "Gangut", 2003). PL pr.636 / 636M with 7-blade propeller ("Military Parade", archive photo Gogs, http://forums.airbase.ru ). Energy - lead-acid batteries. Number - 2 groups of 120 pieces. During the operation in the Iranian Navy noted problems with failure of the batteries, which is probably caused by either high temperatures and humidity or errors in service (or both). 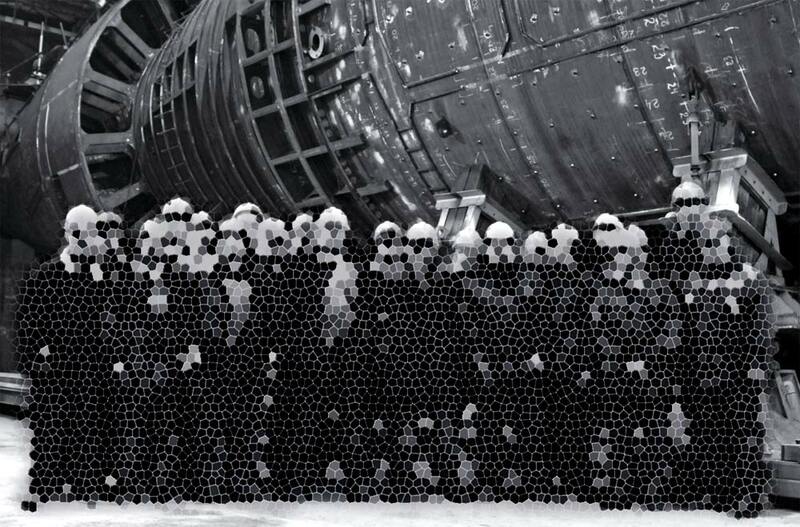 Batteries for submarines pr.877 / 636 on the world market are offered as such by the manufacturer as British Chloride Industrial Batteries Ltd with a guarantee of 5 years (data for 1997). Rescue System - from the submarine B-800 series are equipped with a rescue boat hatch allowed to leave the submerged submarine at a depth of up to 250 m (located in the rear of the submarine). Noise submarine pr.877 when driving on an auxiliary propulsion ustanovlke (water cannon) at the rate of progress of low noise (MSHH) 5-6 bonds is estimated by experts below or equal to the noise class submarines Improved Los-Angeles. When using the progress under the main propulsion motor noise performance is particularly limited regardless of the speed. 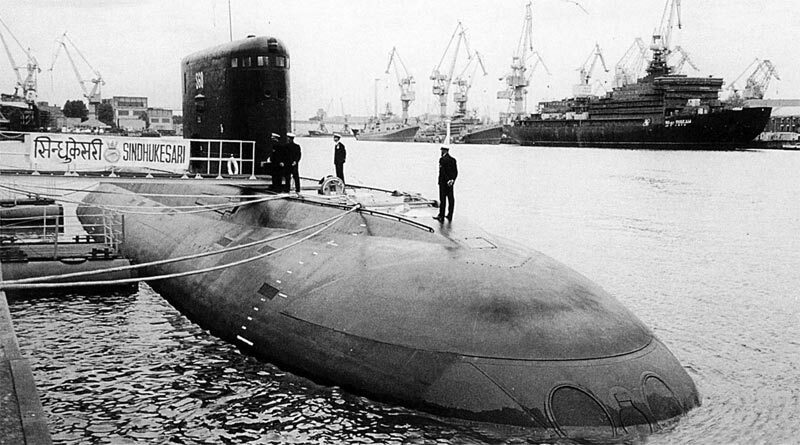 Based on reviews of Indian sailors on submarines pr.877EKM total noise is considered quieter German submarine pr.209. In the natural background in the 40-45 dB noise submarines calm pr.877 was 52-56 dB (SP series and measuring conditions are not known). The Chinese media reported on submarines pr.636 noise level 117 dB. CICS (combat information management system) "Lama" / "node" (some sources x) , development and production - NGO "Aurora", "Okeanpribor" and "Granit-Elektron". Made in the computer-based IDP-110 "unit". CICS allows you to simultaneously track five goals, including 2 + 3 goals automatically manually automatically generating data for torpedoes. Just CICS decides navigation tasks. "Lama-EKM" / "node " , development and production - NGO "Aurora", "Okeanpribor" and "Granit-Elektron". Made in the computer-based IDP-100EM (?) "Node". CICS allows you to simultaneously track five goals, including 2 + 3 goals automatically manually automatically generating data for torpedoes. Just CICS decides navigation tasks. Management of general ship systems Control "Palladium" (pr.877E) Control "Palladium"
- The main sonar (the forward part of the submarine) to separate the radiating antenna and the antenna radiating sound conductivity connection is made in titanium. Provides job paths shumopelengatsii (SHP), sonar (GL), the detection sonar signals (JLG) and sonar communication (LPP). 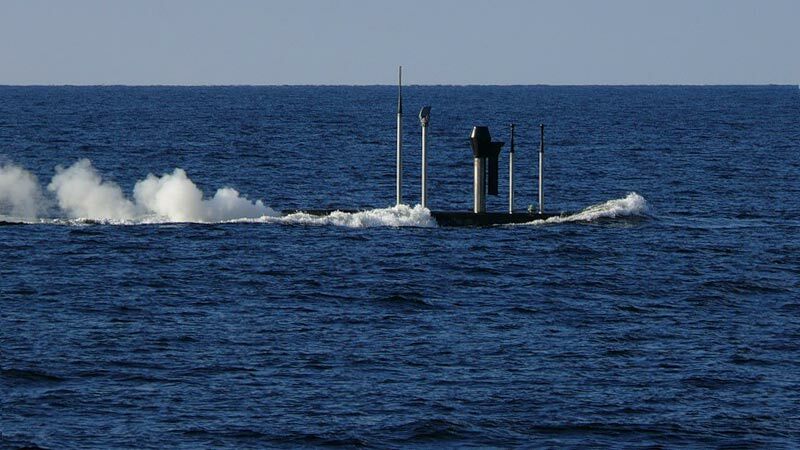 - The main sonar (the forward part of the submarine) to separate the radiating antenna and the antenna radiating sound conductivity connection is made in titanium. The number of rays emitter (in active mode) - 540 pieces? Radio-technical equipment radio station technical radar detection MCI-25 BRICK GROUP radiopelenatora and "Frame" SNOOP TRAY-2 or "Veil" (doubtful), radio-technical station (probably radio satellite) "Cypress", the respondent state identification system "Chrome." Since the submarine B-800 (1989 YG) modernized equipment serial submarines (done on new element base). radio station technical radar detection MCI-25E BRICK GROUP radiopelenatora and "Frame" SNOOP TRAY-2 or "Veil" (doubtful), radio-technical station (probably radio satellite) "Cypress", the respondent state identification system "Chrome. 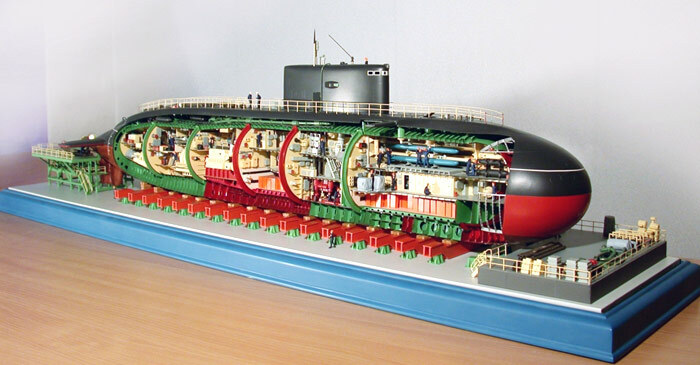 "Since the submarine B-800 (1989 YG) modernized equipment serial submarines (done on new element base). radio station technical radar detection MCI-25 BRICK GROUP radiopelenatora and "Frame" SNOOP TRAY-2 or "veil", radio station "Cypress"
Navigation system "Andoga" "Appassionata -EKM" "Andoga." 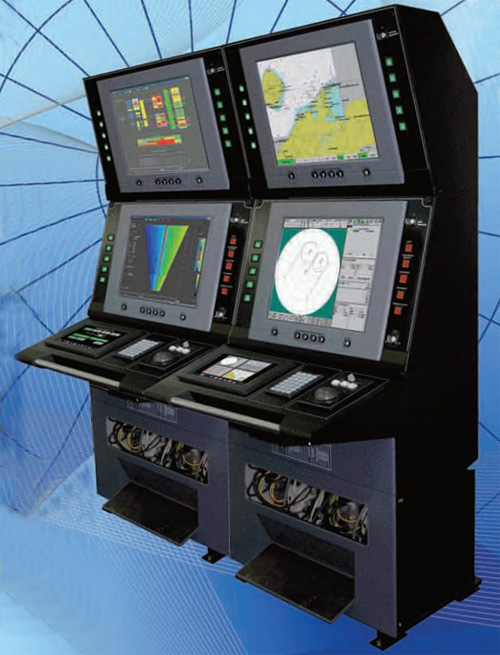 On the upgraded submarine pr.877EKM (at least by 2011 - Sindhurakshak) - navigation system "Appassionata -EKM.1" (modernizitsiya navigation system "Appassionata-CME"). Integrated remote control AIUS "Lama-EKM" manufactured by NPO "Aurora" ( http://www.avrorasystems.com ). Sliding device in the fence cutting the submarine B-871 "Alrosa" pr.877V (in the retracted position, the view aft, http://forums.airbase.ru ). PL pr.877 (probably pryu877EKM B-806) is running under the RDP diesel generator, the Baltic Sea, of 10.09.2007 (author photo - Alex Suetin,http://fotki.yandex.ru ). Housing a smooth transition to the superstructure "fin" a smooth transition to the superstructure "fin" the transition from the superstructure "threshold" no "fin" the transition from the superstructure "threshold" no "fin" a smooth transition to the superstructure "fin" the transition from the superstructure "threshold" no "fin"
pr.877 "Halibut" / sub-series 08 770 (?) 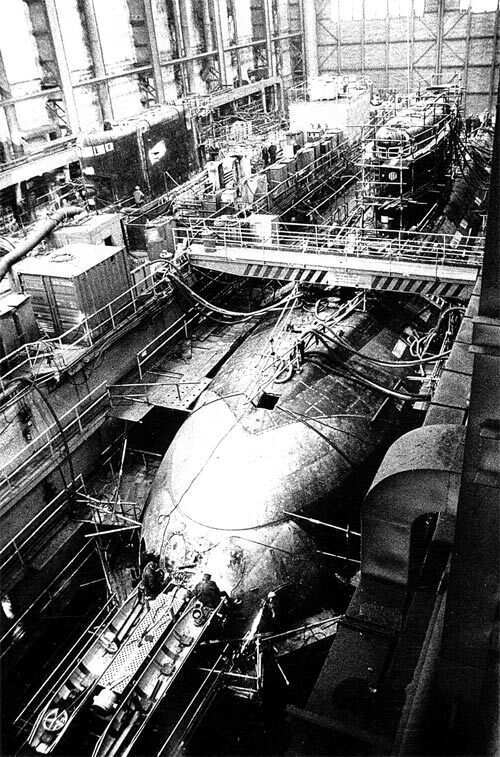 - KILO (1980) - a basic production version of the submarine, the submarine Head - B-248 and B-401. 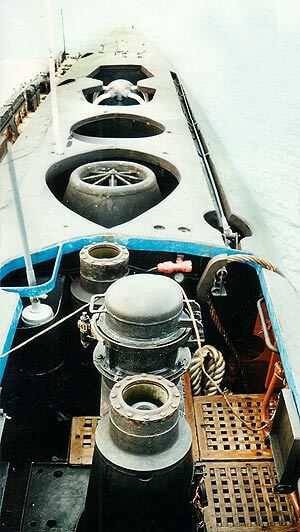 It has been suggested that in addition to the series was a series of 08 770 or 08 771 08 772 - may differ between manufacturing plants (respectively, the head of the boat B-248 and B-401 and B-401, in this case, the head Boat Series 08770). pr.877E "Warszawianka" - KILO (1985) - export version of the submarine pr.877 first series for the countries of the Warsaw Pact, delivered to Poland (B-351 = Orzel, June 29, 1986 transferred to the Polish Navy) and Romania (B -801 = Delfinul, September 19, 1986 transferred to the Navy of Romania). 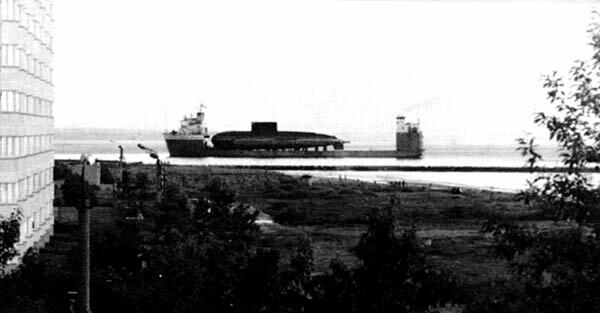 pr.877EK - submarines were not built, "export sales", adapted to tropical conditions. pr.877EKM - KILO (1985) - "export sales modernized" version of the submarine pr.877 supplied in Algeria, India, China and Iran. CIM GAS-400E.Adapted to tropical conditions. The last 2 submarine project identified in the West as Improved KILO (presumably it is "Yunes" Navy Iran and "Sindhurakshak" Indian Navy - last pr.08773). The cost of one submarine according to the media from 150 to 200 million. USD (1990). pr.636 - Improved KILO (1997) - CDB "Ruby" export version pr.877M, modernized equipment pr.877M by type, extensive use of sound-absorbing technology. Cut submarine pr.636 Improved KILO ( http://www.ckb-rubin.ru/ ). pr.636 with ECG (draft, 1990) - Project PL pr.636 engines with an electrochemical generator. Not implemented. 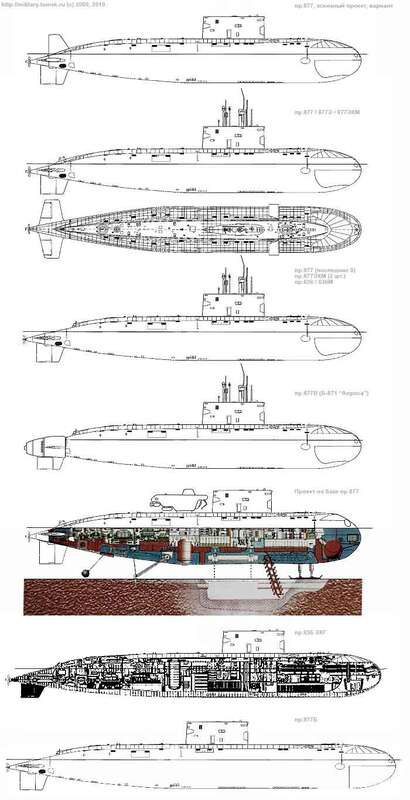 pr.877EKM / pr.08773 - Improved KILO (1999) - modification pr.877EKM submarines for the Indian Navy to the level Improved KILO of equipment and weapons systems (submarines equipped with TA-launchers of cruise missiles Series Club-S). The control system Lama-ER, the new SJC CIM-400EM / MGK-EM, CICS "Palladium-M." The estimated cost of repairs to the advertising upgrade to pr.08773 of pr.877EKM (on the price) 1 billion 700 million rubles (in 2005 prices). On the rudder modification submarine design team and the boat kept similar pr.877EKM. 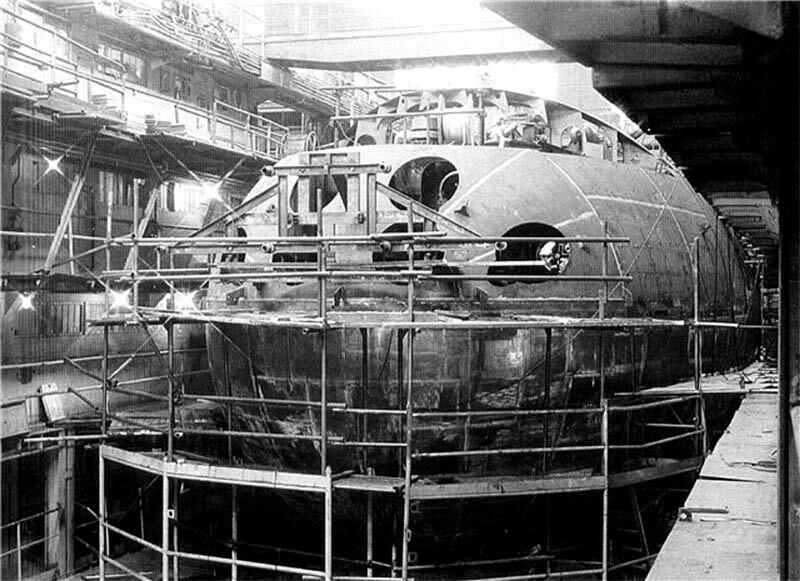 Construction, the output from the workshop and launching of the submarine B-477 ("Sindhushastra" S65) zav.№01618 pr.877EKM / 08773, the Leningrad Admiralty Association, St. Petersburg, 1999 (Admiralty Shipyards Russian submarine fleet. With . Saint-Petersburg. "Gangut", 2003). pr.636M / 06,361? - Improved KILO (2004) - a modernized version of export pr.636 modification. It changes the composition of the equipment, installed new inertial navigation system, a periscope with night vision channel, TV channel and laser rangefinder. Towed antenna connection ADD and HF bands. Can use cruise missiles Club-S with the launch from a submerged position by TA. B-340 submarine pr.877 was completed for the Chinese Navy in 2005 pr.636M (PL founded in 1992 and removed from the building in 1994, the factory "Red Sormovo", Nizhny Novgorod, factory №01611 ). 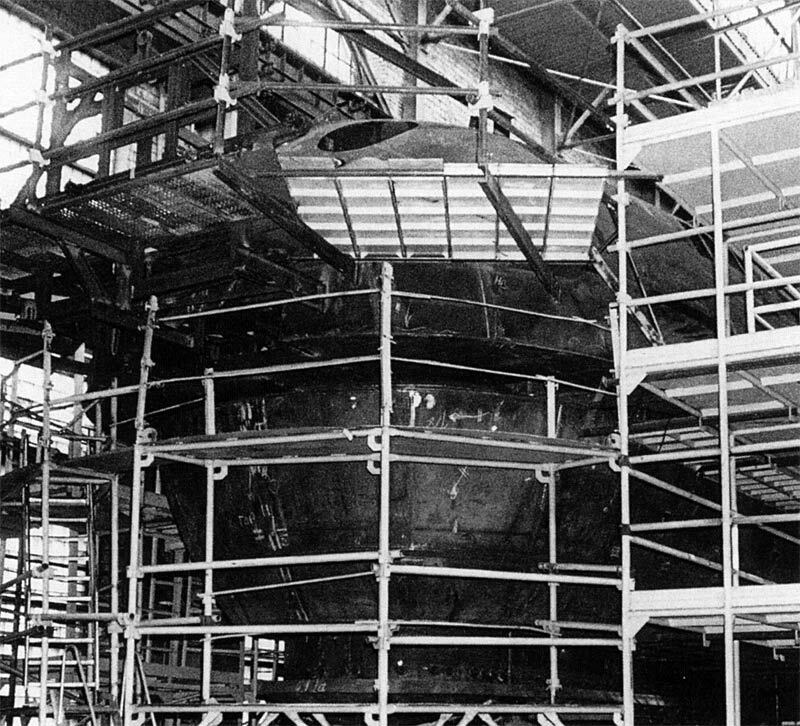 Submarine construction pr.636M ON "Sevmash". Or, "Yuan Zhend 74 Hao" (374) or "Yuan Zhend 75 Hao" (375), and 702 factory №№701. The project is based on a special submarine pr.877 - in 2002 on the advertising leaflet CDB "Ruby" is a side cutting projections on the basis of a special submarine pr.877 probably designed to work on laying pipelines on the seabed. Perhaps after such equipment can be used for submarine wide range of activities on the seabed. There is also a likelihood that these technologies and components have already been tested on other types of submarines. No other data. 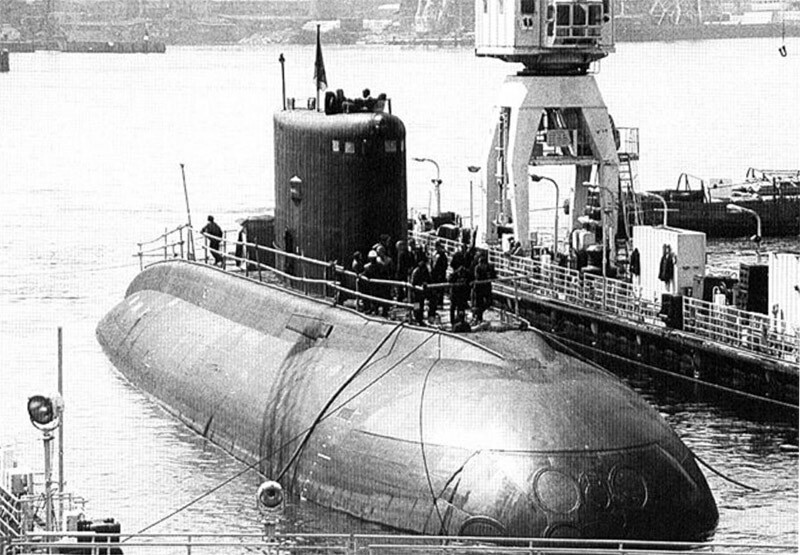 pr.06361 - Improved KILO - modification of the submarine pr.636M or another name for the project pr.636M submarines. According to media reports the summer of 2012 it was on this project built a series of submarines for the Navy in the Vietnam GCC "Admiralty Shipyards". 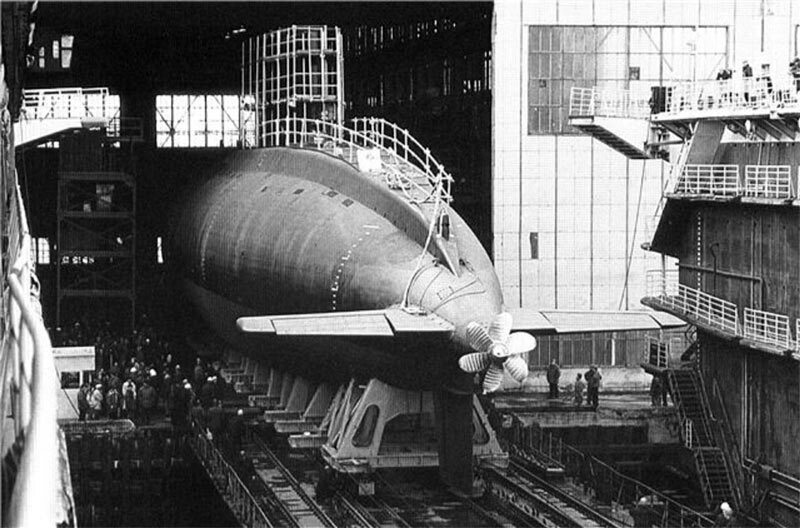 Construction series is conducted simultaneously with the construction of a series of submarines for the Russian Navy pr.06363 (see below). 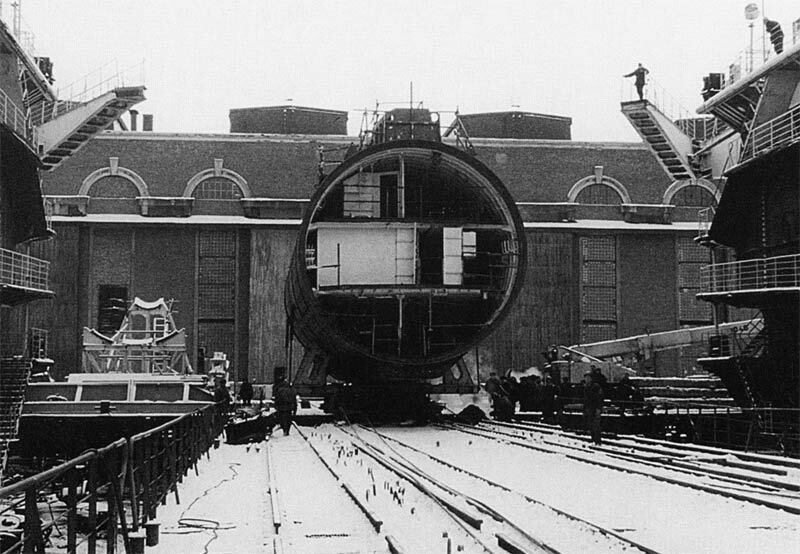 The first submarine for the Navy Vietnam pr.06361 factory №01339 from outfitting wall Admiralty Shipyards, St. Petersburg. 20.09.2012 (photo - havron, http://forums.airbase.ru ). pr.06363 - Improved KILO-II - PL pr.636M modification or variant pr.636M with updated equipment and missile system "Caliber". Chief Designer - Igor Molchanov. 20.08.2010 at "Admiralty Shipyards" for this project lies a large diesel-electric submarine torpedo-missile "B-261" Novorossiysk ". PL laid for the Black Sea Navy of Russia. 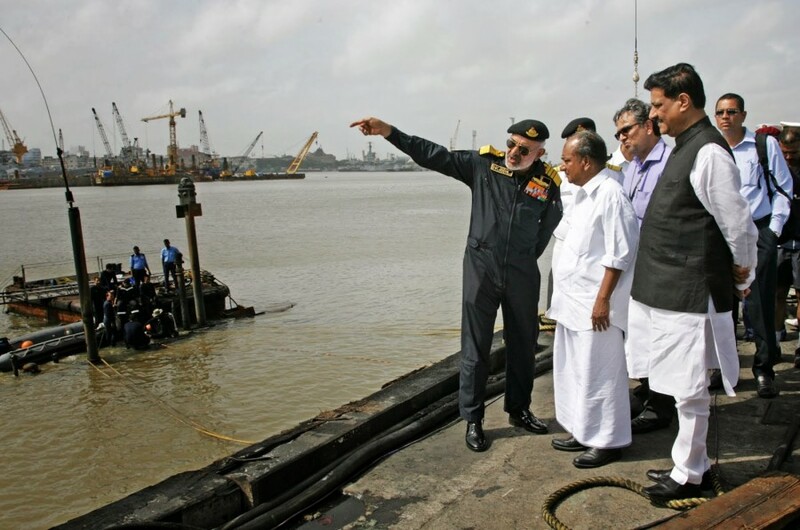 It is planned to build a minimum of six boats of the project. 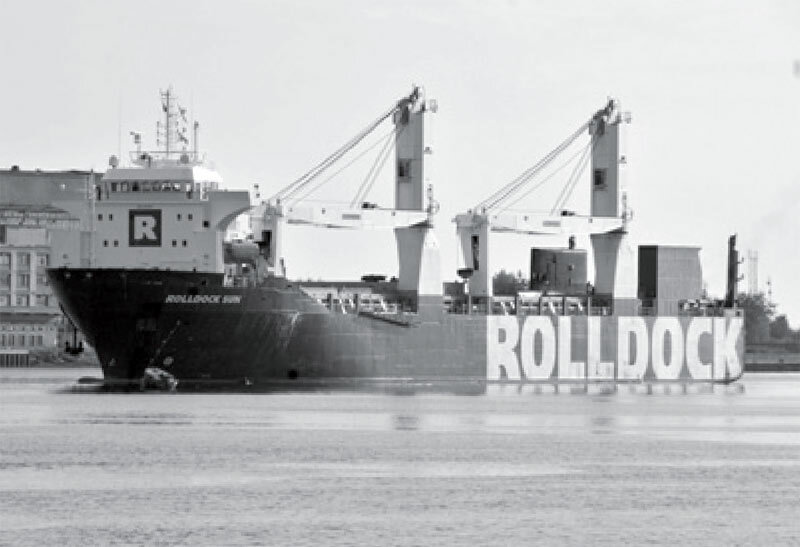 The name" Improved KILO-II "is not officially recognized. 1992 August - 1993 June - trip submarine B-402 pr.877 Northern Fleet to Iran. 1995 March 19 - fire on the boat B-401 pr.877 (Northern Fleet). There was a fire in rags tidy in the database through the fault of the men (improper handling of the plates in the regeneration-64). 2004 - all in the battle of the Navy's 15 diesel submarines (mainly pr.877). 2004 November - according to media reports ( http://lenta.ru/ ) by 2010 the Navy will Rosii 10 submarines pr.877. 2008 July 22 - pr.877EKM submarine B-806 (aircraft №487) participated in the naval parade on the Neva River in St. Petersburg. 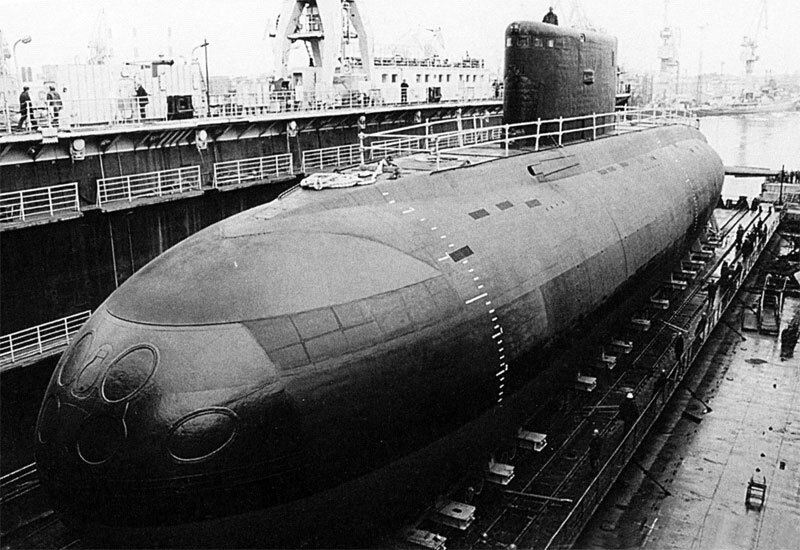 - 29 December 1996 - signed a contract for the modernization of the submarine Sindhuvir pr.877EKM pr.08773 to the shipyard "Zvezdochka" (Severodvinsk). 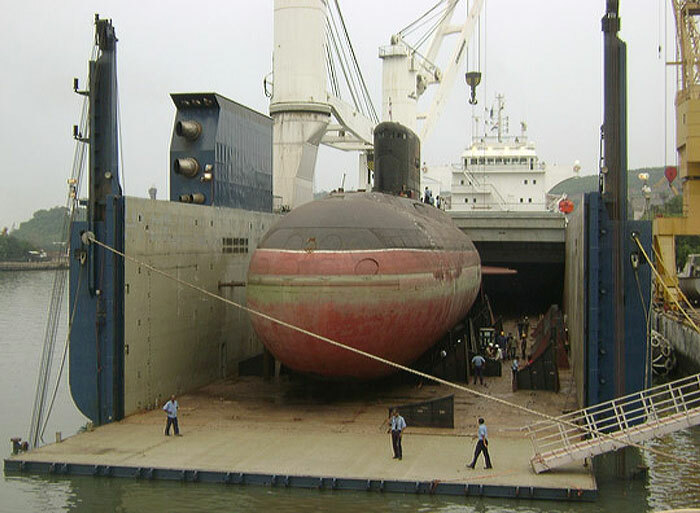 - 1997 June 25 - PL Sindhuvir pr.877EKM arrived to upgrade to Improved KILO at the shipyard "Zvezdochka" (Severodvinsk) in the transport floating dock "Superservant-3" Belgian company Dockwise. - 1999 - 5 pcs pr.877EKM + 1 pcs + 1 pcs pr.08773 Upgrade to Improved KILO pr.877EKM (Sindhuvir, modernization completed in 1999). - 1999 April 25 - PL Sindhuvir pr.877EKM upgraded to Improved KILO derived from the boathouse SRH "Star" and launched. 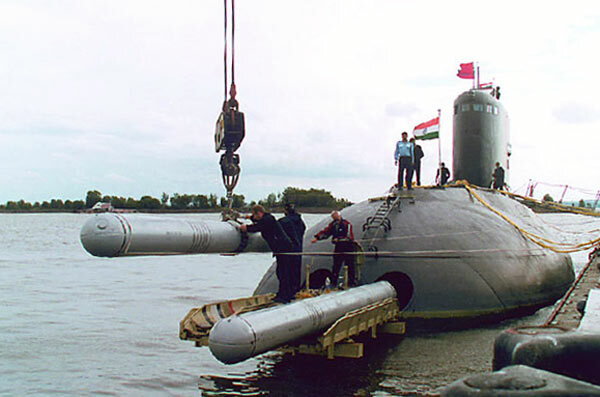 - 1999 July 26 - PL Sindhuvir pr.877EKM Improved KILO adopted by the Indian Navy. - 2001 - 4 pcs pr.877EKM + 3 + 2 pcs pr.08773 items improved to pr.08773 Improved KILO pr.877EKM - "Sindhuraj" S57 (zav.№08405) and "Sindhukesari" S60 (zav.№08313 ), repairs to the modernization were at LAO. 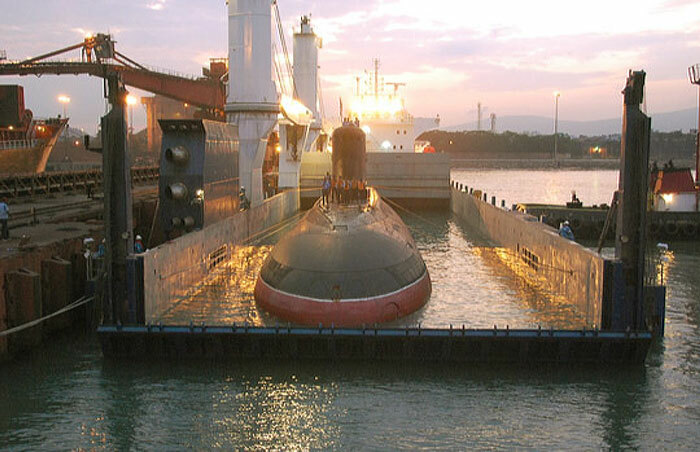 The repair with the modernization of pr.08773 Improved KILO Lao submarine "Sindhuraj" S57 (zav.№08405) and "Sindhukesari" S60 (zav.№08313), probably 2001 (Admiralty Shipyards Russian submarine fleet. St.- lib. "Gangut", 2003). PL "Sindhukesari" after renovation and modernization of pr.08773 Lao probably 2001 (Admiralty Shipyards Russian submarine fleet. S.-Pb. "Gangut", 2003 .). One of the Indian boats pr.877 renovated in the dock LAO. This is probably one of the boats pr.08773 surrendered in 2001 (Admiralty Shipyards Russian submarine fleet. S.-Pb. "Gangut", 2003). - 2002 - 3 pieces pr.877EKM + 3 + 2 pcs pr.08773 items improved to Improved KILO pr.877EKM, PL Sindhuratna put the Indian Navy after modernization at the shipyard "Star" to the level of pr.08773. - 2005 - 2 pieces pr.877EKM + 5 pcs pr.08773 + 2 pcs Upgrade to Improved KILO pr.877EKM, PL Sindhugosh put the Indian Navy after modernization at the shipyard "Star" to the level of pr.08773. 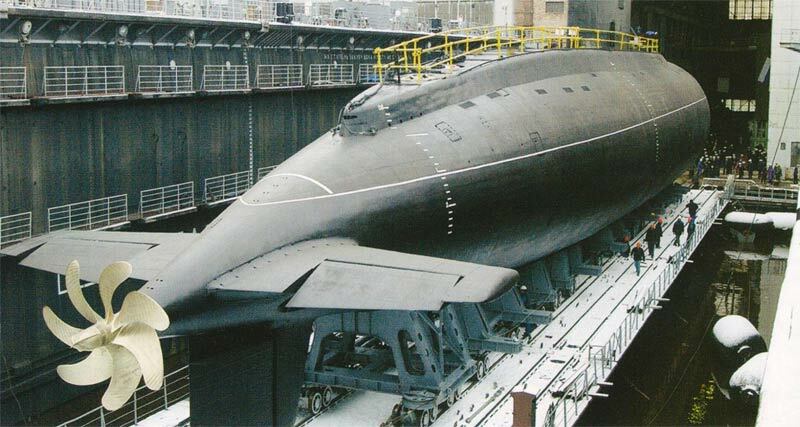 - 2010 June 4 - the media reported that the submarine pr.877EKM Improved KILO serial number 01325 Sindhurakshak Indian Navy will be held at the shipyard "Zvezdochka" in Severodvinsk upgrading to pr.636M (without changing the project 877 EKM). 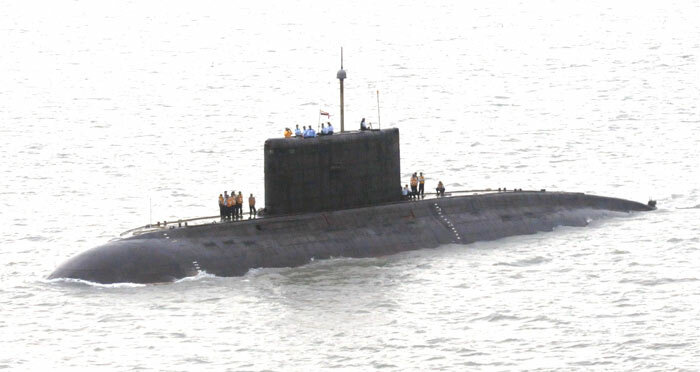 This is the fifth Indian submarine pr.877 that upgraded to the "Star". In addition SRH provides modernization and repair of submarines Sidhukirti serial number 01315 in the Indian shipyard g.Vizakhapatnam. 04.06.2010 signed a contract for the average repair with partial modernization of the submarine ( the source ). 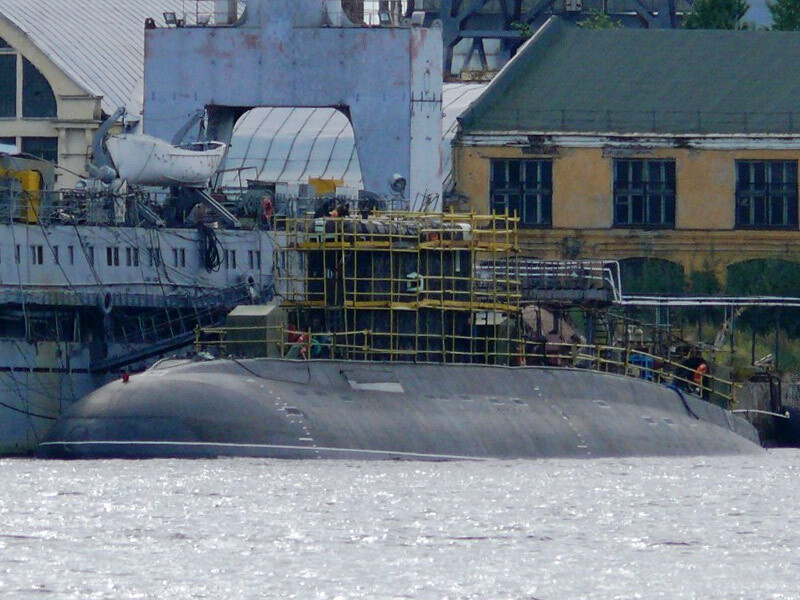 - 2010 August 3 - PL pr.877EKM Improved KILO serial number 01325 Sindhurakshak Indian Navy arrived at the shipyard "Zvezdochka" in Severodvinsk. The ship put on a firm foundation in the docking chamber SRH and is preparing to transfer to the shop. Ship-submarine carrier RollDock c pr.877EKM Improved KILO serial number 01325 Sindhurakshak Indian Navy shipyard near "Star", Severodvinsk, 03.08.2010 (photo - Alexei Morozov, the workload, 05.08.2010 city). 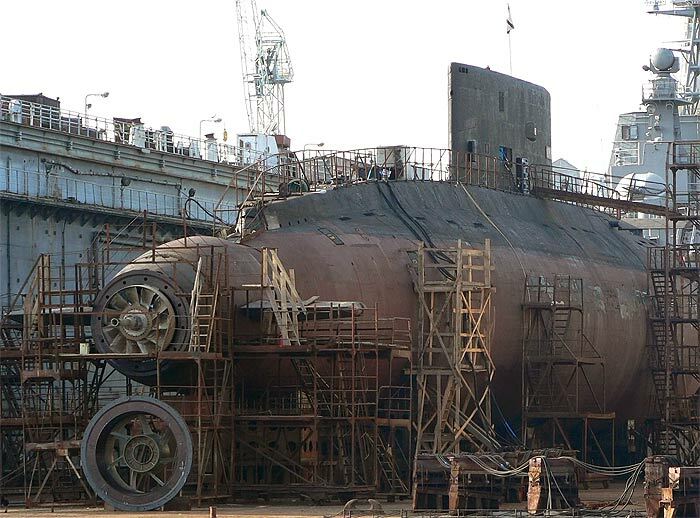 PL pr.877EKM Improved KILO serial number 01325 Sindhurakshak the Indian Navy in the docking chamber SRH "Star", 03.08.2010 (Photo - SRH "asterisk", http://www.news29.ru ). - September 2010 - 10 as part of Navy submarines family KILO. 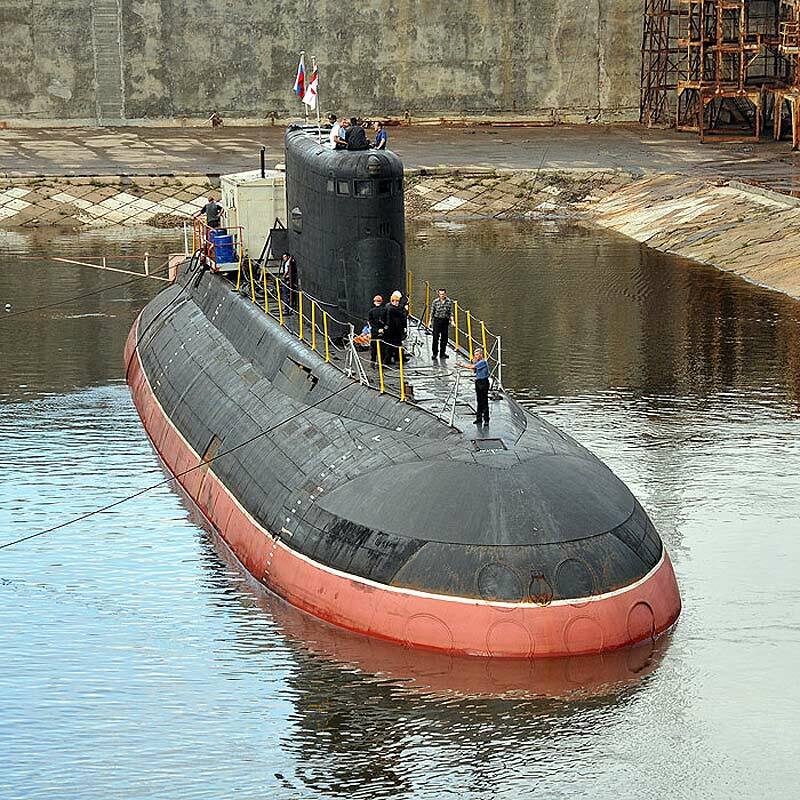 - December 2011 - in the shop №10 shipyard "Zvezdochka" in Severodvinsk continued repairs to the modernization of the submarine pr.877EKM Improved KILO serial number 01325 Sindhurakshak Indian Navy. During the work on the submarine will set a completely new rail sliding devices. "Sindurakshak" - the fifth submarine of the Indian Navy passing pr.877EKM repair at the shipyard "Zvezdochka". 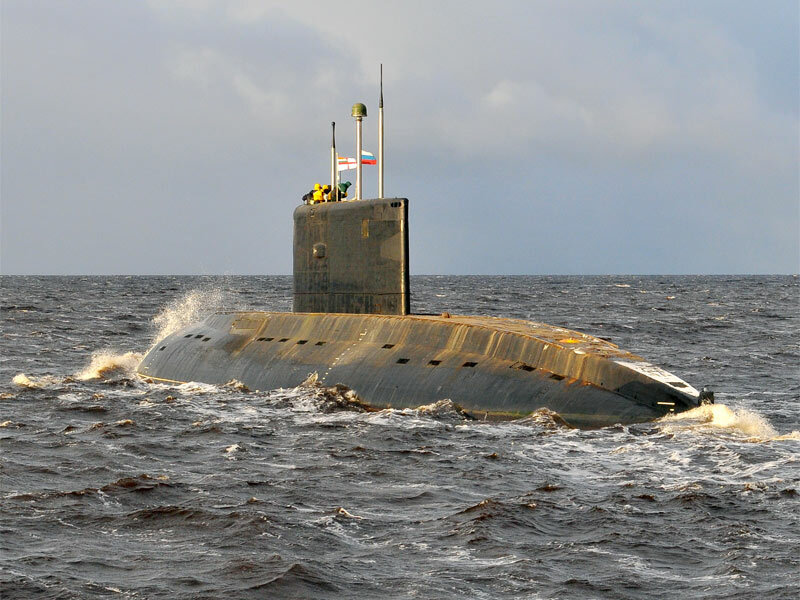 - 2012 October 29 - began sea trials the submarine pr.877EKM Improved KILO serial number 01325 Sindhurakshak Indian Navy, which is undergoing renovations to upgrade to CA "Zvezdochka" in Severodvinsk. PL pr.877EKM serial number 01325 Sindhurakshak Indian Navy on tests after repair with the modernization of the shipyard "Zvezdochka" in Severodvinsk, 25.11.2012 (photo - CA "asterisk", http://zvezdochka-ru.livejournal.com/ ) . - 2012 December 12 - during acceptance tests in Severodvinsk submarine pr.877EKM Improved KILO serial number 01325 Sindhurakshak Indian Navy is successful missile firing at ground targets. Earlier, on 07.12.2012, he successfully struck the target surface. Thus missile firing complex Club-S missile 3M54E and 3M14E completed factory testing after passing the submarine repair with modernization in the CA "Star" ( source ). 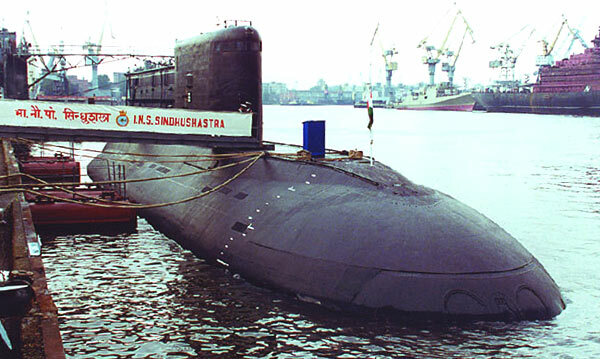 - 2013 January 26 - PL pr.877EKM Improved KILO serial number 01325 Sindhurakshak Indian Navy after renovation and partial modernization (without changing the project 877 EKM) transferred to the Indian Navy in Severodvinsk. On the submarine complex set of weapons with Club-S cruise missiles installed SJC Ushus, radio system CCS-Mk-2, modernization of cooling systems, the installation of a radar station «Porpoise» and dr.raboty. January 29, 2013 the submarine will be released in India ( source ). 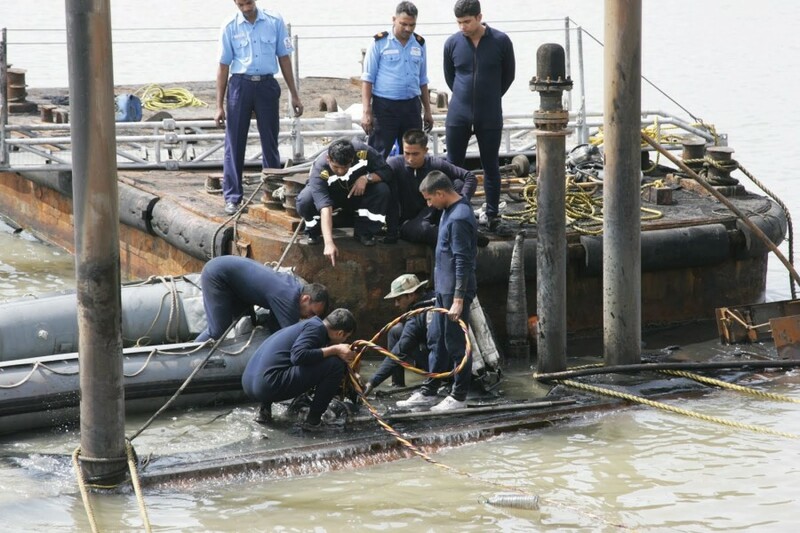 - 14 August 2013 - on submarines pr.877EKM Improved KILO serial number 01325 Sindhurakshak Indian Navy at the pier in the port of Mumbai was an explosion and fire that led to partial flooding of the boat. On board at the time of the explosion there were 18 crew members of the boat, some people managed to escape. 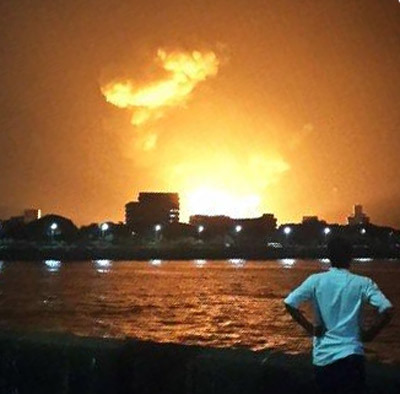 It is likely that there was an explosion of ammunition boat, which was at the pier in full running order ( the source ). The glow of the explosion on the submarine Sindhurakshak pr.877EKM Indian Navy at the pier in the port of Mumbai, 14.8.2013, the (http://kuleshovoleg.livejournal.com/ ). 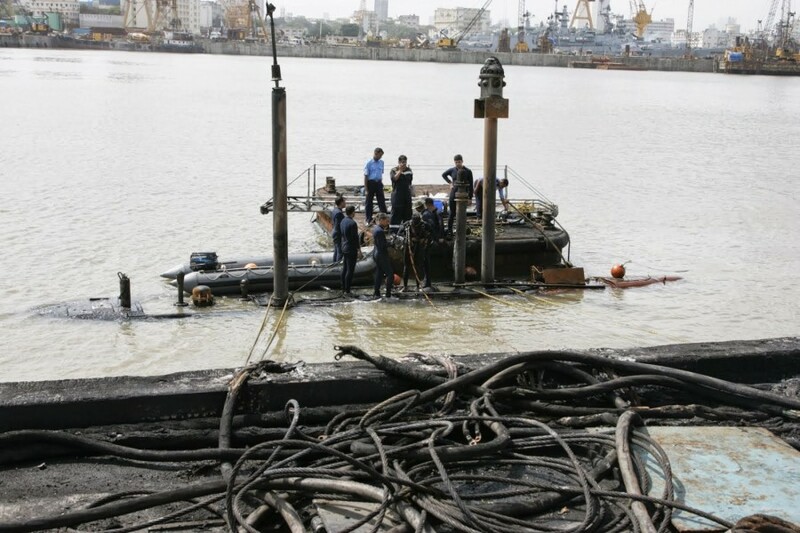 The first photographs of the sunken submarine Sindhurakshak pr.877EKM Indian Navy at the pier in the port of Mumbai, August 14, 2013, in the afternoon (photo - the Ministry of Defence of India, http://www.livefistdefence.com/ ). 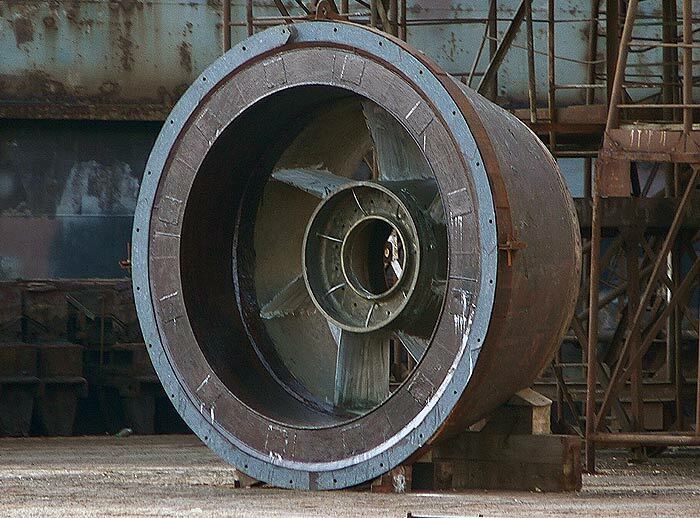 - 2006 - a contract to build two submarines pr.636M at FSUE "Admiralty Shipyards". Perhaps the contract will be increased to 6 pieces.